For music students of any age and genre with 3-4yrs playing experience and basic theory knowledge. 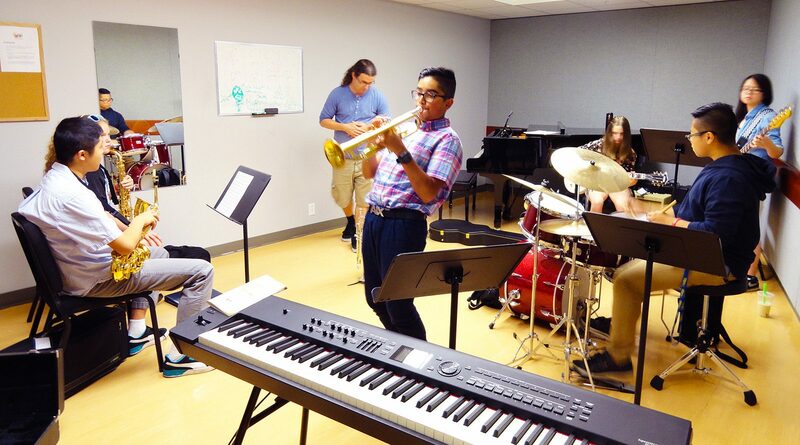 Explore improvisation and beginning jazz theory through your instrument or voice in a way that “demystifies” the language of jazz. – what is a “lead sheet”? – commonly used jazz rhythms and melody-based improvising. Students are invited to bring their instruments. Basic music reading skills are required. – “rhythm changes” form and chord analysis of jazz standards. Part 3 of Jazz Theory & Improv focuses on jazz “vocabulary” (ie the language/phrasing of jazz created by the masters) and how to access it through transcribing, analysis, and methodical practice. Finally, this vocabulary will be put into practice by the students on a few well known jazz standards.